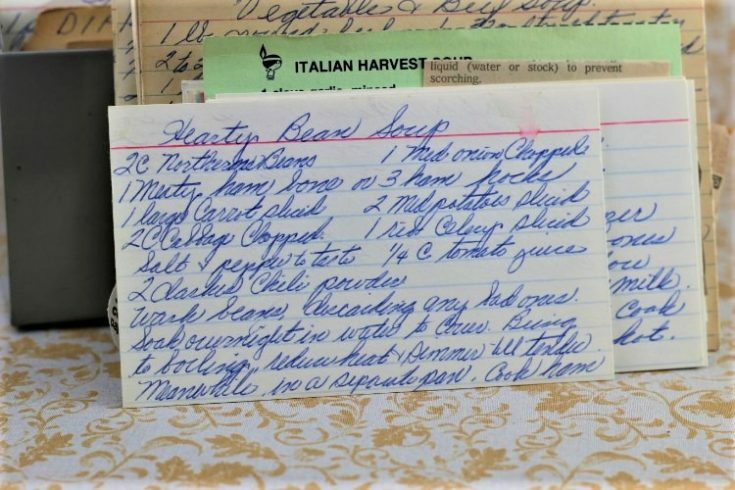 Front of the recipe card for Hearty Bean Soup. 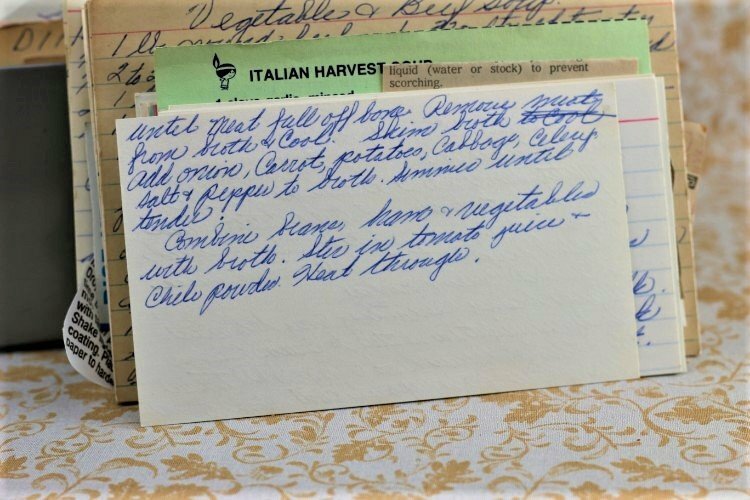 Back of the recipe card for Hearty Bean Soup. 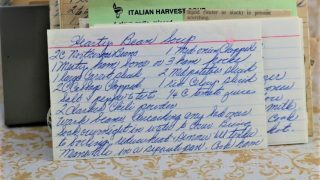 There are lots of fun recipes to read in the box this recipe for Hearty Bean Soup was with. Use the links below to view other recipes similar to this Hearty Bean Soup recipe. If you make this Hearty Bean Soup recipe, please share your photos and comments below! Wash beans, discarding any bad ones. Soak overnight in water to cover. Bring to boiling, reduce heat & simmer till tender. Meanwhile, in a separate pan, cook ham until meat fall off bone. Remove meat from broth & cool. Add onion, carrot, potatoes, cabbage, celery, salt & pepper to broth. Combine beans, ham & vegetables with broth. Stir in tomato juice & chili powder.